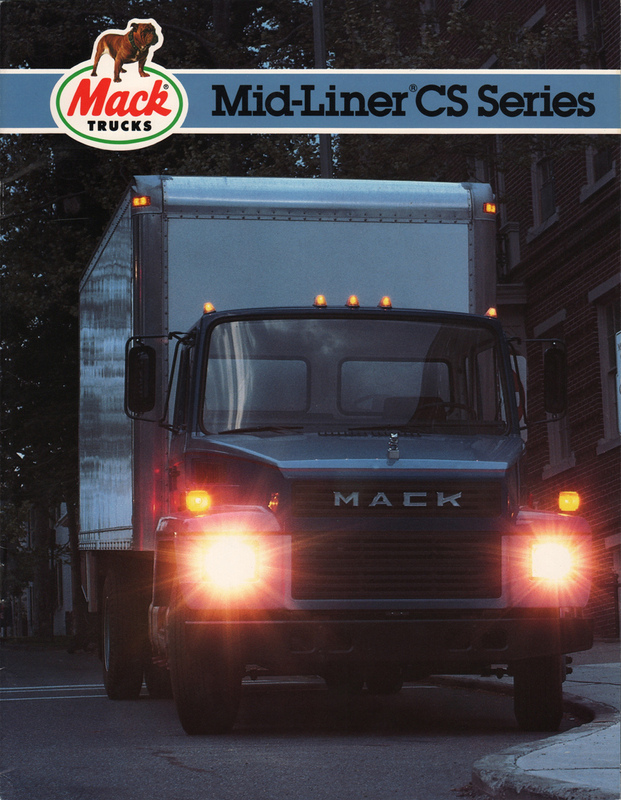 Sales brochure for the 1985 Mid-Liner CS Series Mack Truck with a 175hp turbocharged 4-cycle diesel in the CS200/250 and a 215hp turbocharged 4-cycle diesel in the CS300. Brochures are presented for research use only. Company marks, emblems, and designs are trademarks and/or service marks of Mack.